George Frederick Hallgate was born on the 17th December 1892 and grew up at 89 St Johns Road Balby. He was the eldest of a family of five and his father worked as a brick layers labourer. 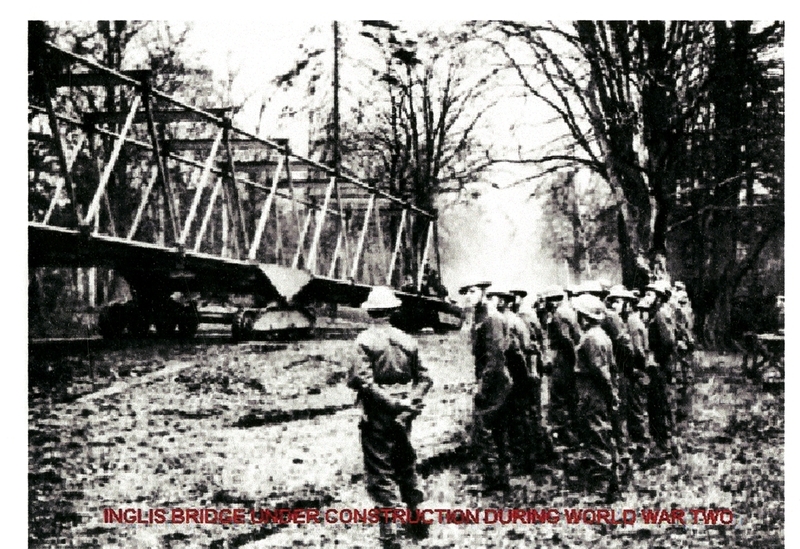 By the age of 18 in 1911 George was working as a steel wire tester possibly at British Ropes. 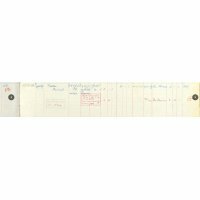 It seems likely the George joined up around October 1915 by which time he was working at the Plant railway works and would have been about 23. 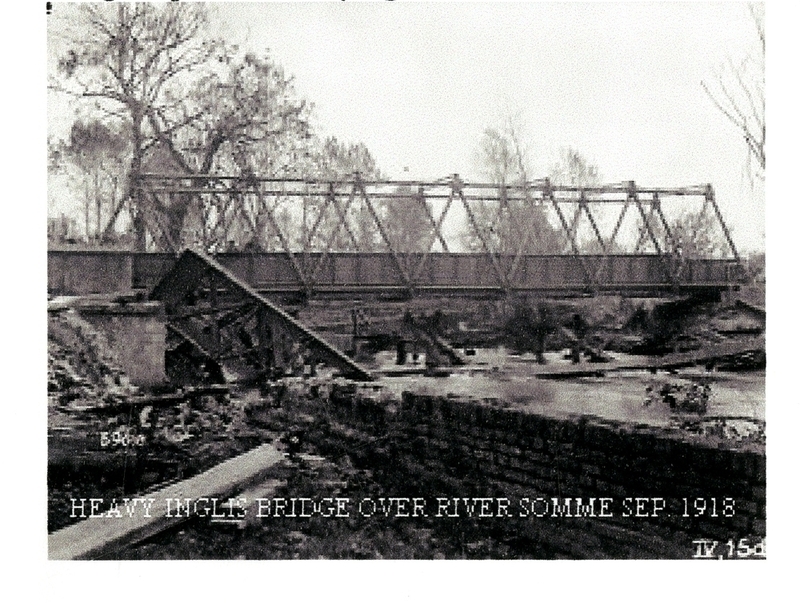 Initially posted to the 10th Battalion of the West Yorkshire Regiment he was given the army No 3823. From family stories it seems that he did some of his basic training at Rugely Camp in Staffordshire. This was one of two huge hutted camps on Cannock Chase built early in the war primarily as training establishments. Together they were capable of holding 40,000 troops. 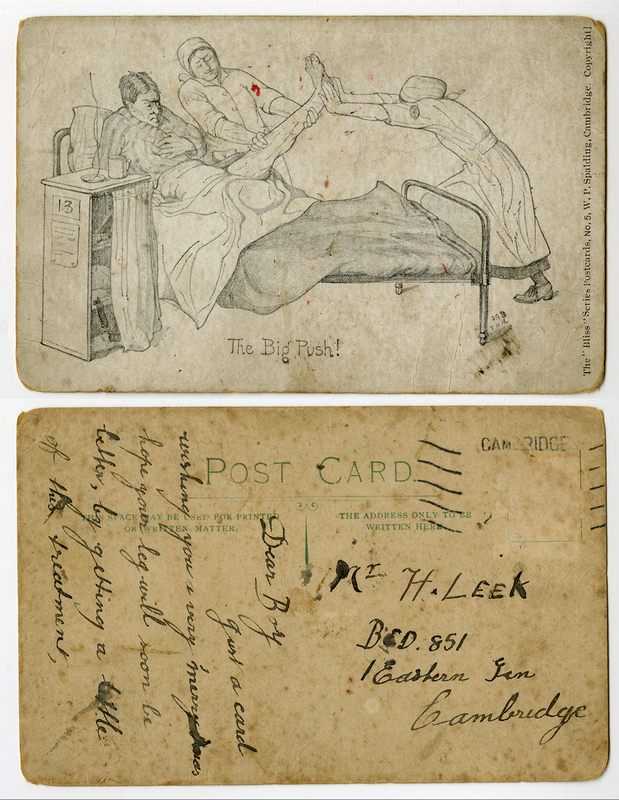 This must have been a very worrying time for his parents Kirk and Hannah, who eventually received a post card from George in June to say that he was a prison of war at Limberg. Limburg an der Lahn is a German town in the Hesse region, the pow camp there during the first world war could hold 12,000 men. 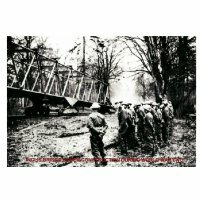 It had been used by the Germans as a location for Irish prisoners, these were encouraged to join the Irish Legion and fight against the British in Ireland. 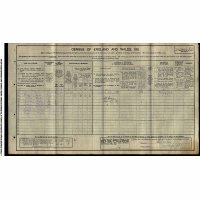 With the end of the war in November 1918 George would have been released, however many men found it difficult to find their way home and we know that George was not discharged until the 4th March 1919. 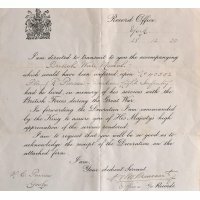 For his services to the nation George was awarded the British War and Victory medals. 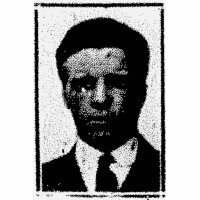 George returned to Doncaster and his job at the Plant where he joined The National Union of Railwaymen in 1925 giving his occupation as fitters mate. In 1923 he married Elsie Broomhead and their daughter Alice was born soon afterwards. 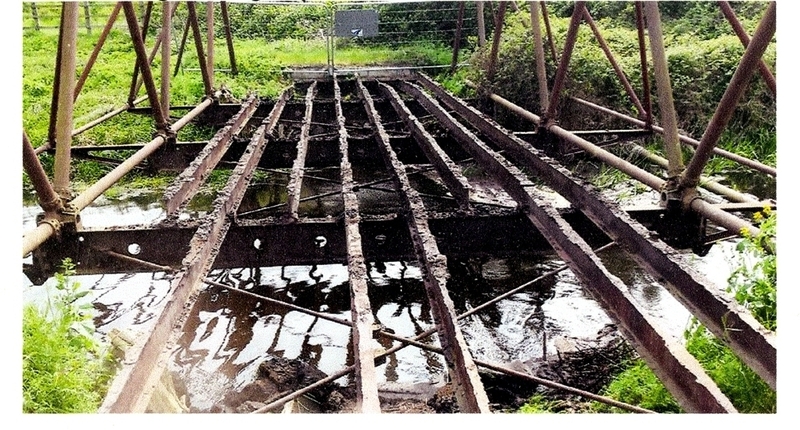 In 1939 George was working as a fitter labourer for the L.N.E.R. and was living at 22 Byron avenue Balby with Elsie and one other probably Alice. George died in 1960 aged 67. 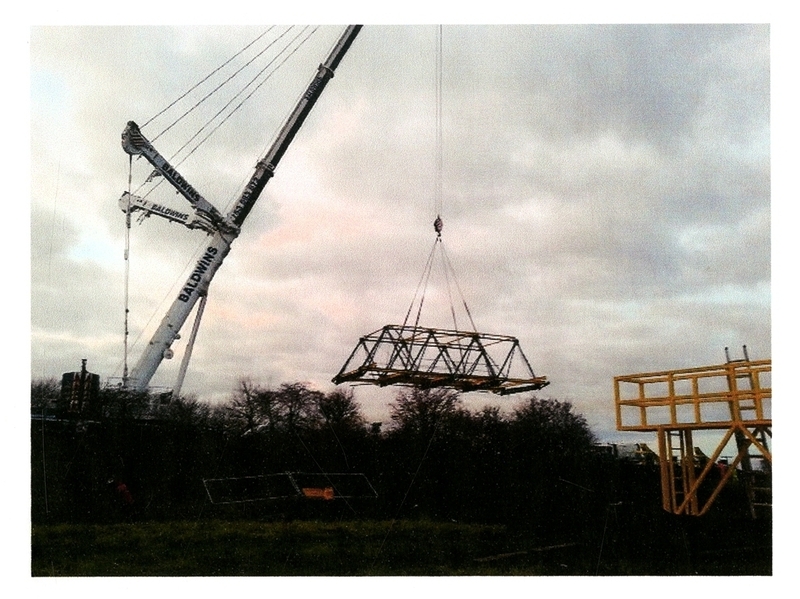 Thank you to David Marson for submitting information for this story. 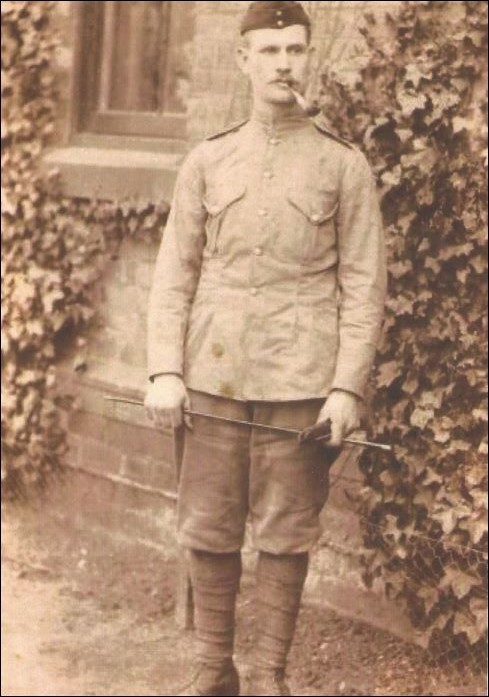 Horace was born in December, 1898 in Scarcliffe, Bolsover, North Derbyshire before his family moved to Haywood, near Askern where he was a young farm worker before enlisting in the Queens Own Yorkshire Dragoons as Private 39798 on 1st March, 1917 aged 18 years and 2 months. Although originally a cavalry regiment the mode of transport during the later part of the war was as a cyclist battalion. In October, 1918, shortly before the end of the war he was injured by a shell fragment in the left thigh fighting near Ypres. 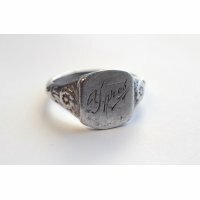 He was stretchered off the battlefield by German POW’s and initially cared for by a local family who gave him a silver ring engraved “Ypres”. 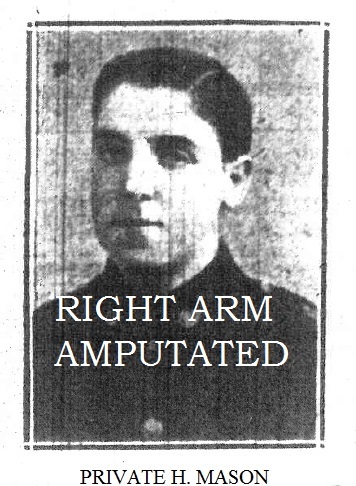 He was then admitted to 3 Canadian General Hospital in Boulogne on 13th October, 1918. 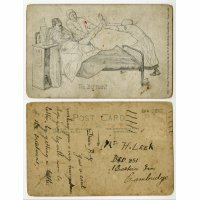 He was subsequently repatriated to the UK and spent some time recovering from his injuries in the Eastern General Hospital (Bed 851) in Cambridge. 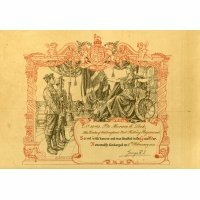 During his convalescence he made an embroidery of the regimental insignia. 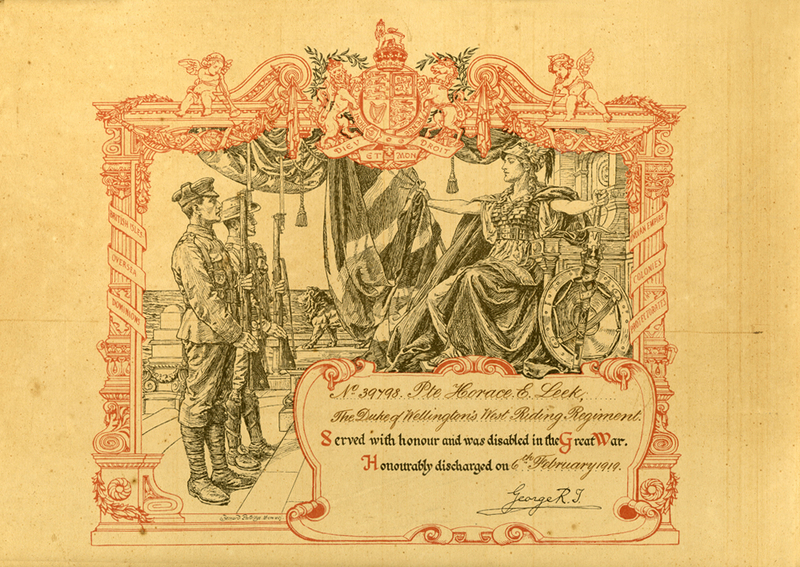 Having served 1 year and 343 days he was discharged from the Duke of Wellingtons West Riding Regiment on 6th February, 1919 as “no longer physically fit for war service”. Due to his leg injury he had to wear a special boot and leg iron to support his left leg for the rest of his life. Horace went onto marry Elsie Blogg in 1925 and it is noted in newspaper cuttings of the time that due to their church connections; Horace was a churchwarden and Elsie a member of the Church council; they were greatly honoured for the Bishop of Sheffield to agree to officiate at the wedding ceremony. The couple had 3 daughters, Brenda, Stella and Jean, plus one son George Eric. 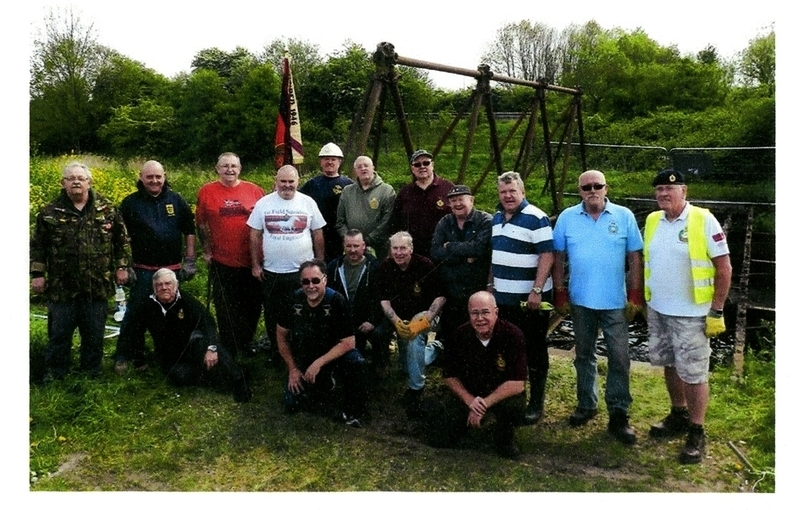 Horace subsequently worked for the National Coal Board on the surface at Bentley pit. Horace and Elsie lived in Bentley before moving to Mapperley, Nottingham when he retired. Sadly his retirement was short lived and Horace passed away in August, 1965 following heart problems. 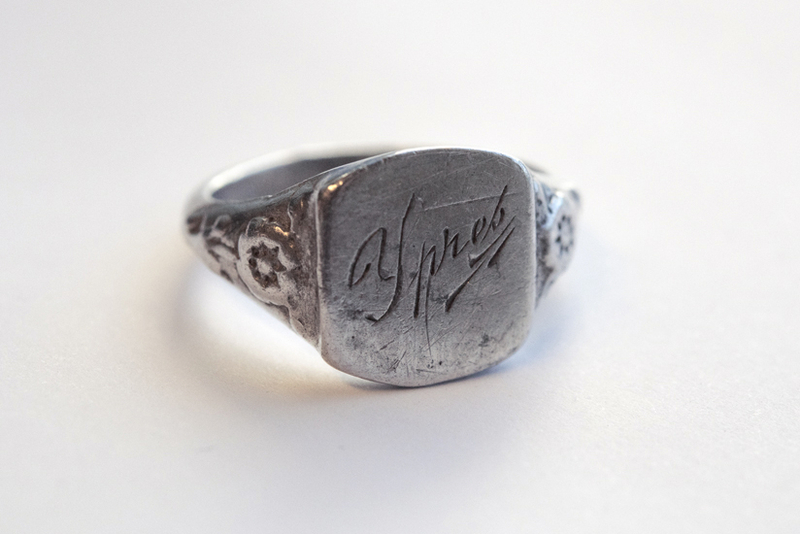 Head – James Kitson born in 1843 Marr, Doncaster. 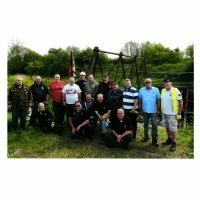 James became a GNR Locomotive angle iron Blacksmith at The Doncaster Plant Works and was still working there at the age of 67. In retirement he moved to Pontefract to live with his daughter, Alice. There he died on 30th December 1922. His photograph is the featured photo of my story. 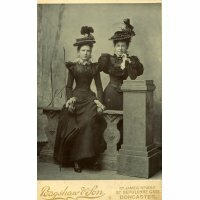 Wife – Mary Ann Kitson neé Otley, born in 1851 Carcroft. Mary died on 23rd February 1902 in Carcroft aged 50. Sadly I have no photo of my Gt. Grandmother. I would love to have one. James Kitson and Mary Ann Otley, my Gt. Grandparents, were married on Boxing Day 1868 at Doncaster Register Office. (Surprisingly they were open in those days and at New Year too). Dau – Mary Sophia Kitson, their firstborn, born in 1873 – Doncaster. Son – *George Edward Kitson born on 17th October 1875 – Doncaster. 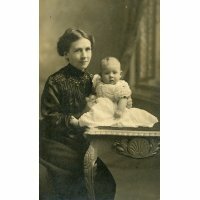 Dau – Alice Jane Kitson born in 1878 – Doncaster. Dau – Lilian May Kitson born in 1881 – Doncaster. Died in 1908. Dau – Grace Kitson born in 1883 – Doncaster. Died 24th May 1885 age 1 year and 11 months at Carcroft. I have no photo of baby Grace. 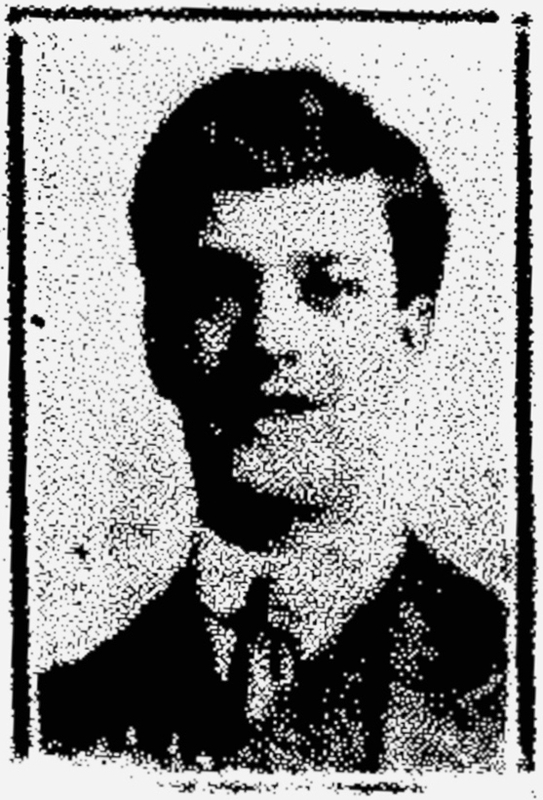 Son – Arthur Charlie Kitson born in 1886 – Doncaster. 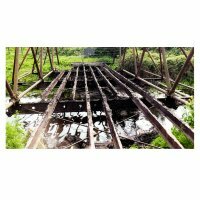 He was a GNR Coach Builder at the Doncaster Plant Works and as a Railway Worker he was in a Reserve Occupation during WW1 and WW2. 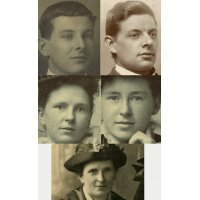 Their son Douglas Arthur Kitson was born before the First World War in 1913 and their daughter Audrey Alice Kitson was born during the War in 1916. Dau – Janet Eleanor Kitson born in 1891 – Doncaster. She lived in Pontefract during her adult life and was a dedicated church goer. Janet is now buried there. 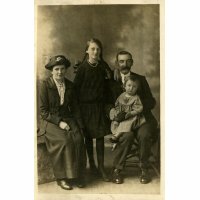 Tom Parkinson Darnton was born 1878 in Featherstone, a Grocer, age 26 of Pontefract married Mary Sophia Kitson age 28, a Spinster of Carcroft in Owston, Doncaster on 20th November 1901 at All Saints Church in the Parish of Owston, in the County of York. This picture was taken at a photographer’s Studio in Dover where Sophia had gone to meet Tom having returned home to England at last from his War duties. 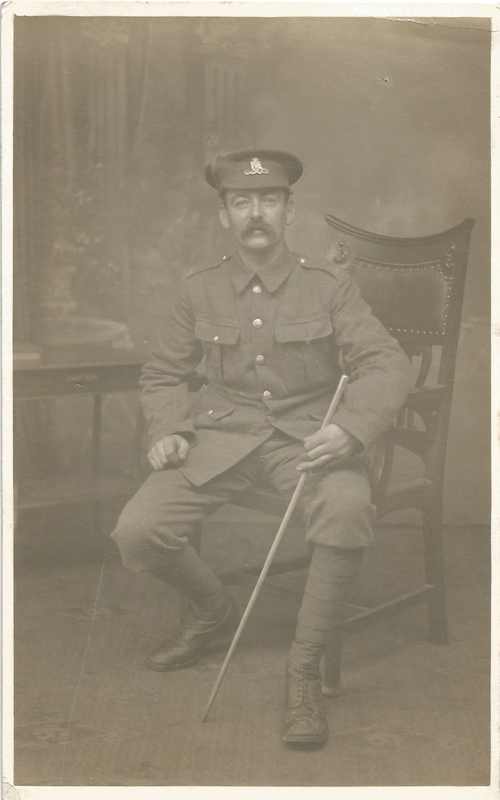 Tom Parkinson Darnton served in the Army during WW1 and survived the ordeal. George Edward Kitson age 31, Bachelor. Petty Officer, Royal Navy of ‘HMS Warrior’, married Eliza Bailey age 21, Spinster of Somerby, on 8th June 1908 at the Parish Church in the Parish of Somerby, Leicestershire. 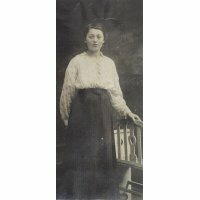 Alice Jane Kitson a spinster, age 25 of Hexthorpe, Doncaster married Alfred Atkinson, a gardener, age 29 of Pontefract at the Parish Church of St Jude, Hexthorpe, Doncaster on 24th December 1903. 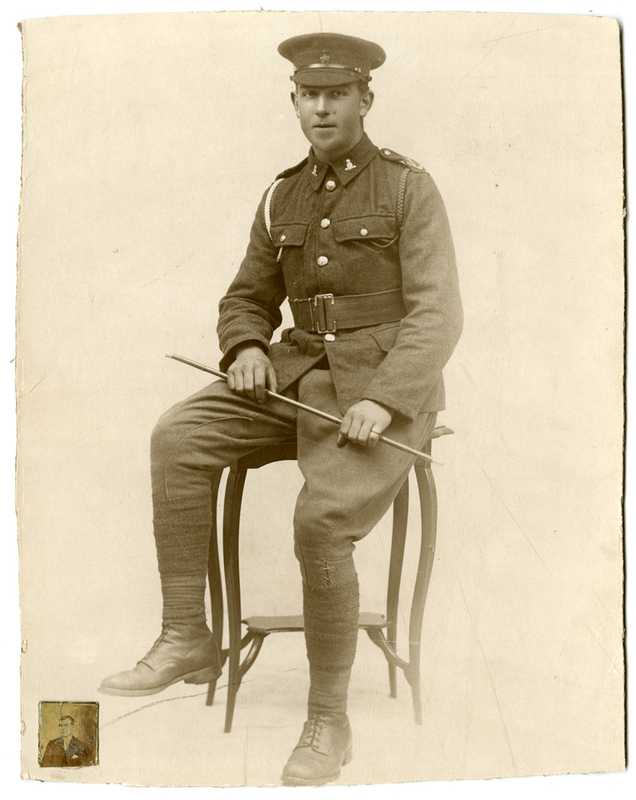 Alfred Atkinson wearing what appears to be a variation of the tropical khaki uniform worn by the British Army of WW1. He holds a riding crop and is wearing ‘putties’ wrapped around each leg. This was part of the British Army uniform. 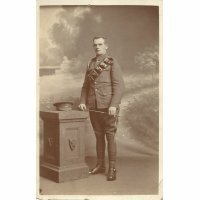 Alfred Atkinson survived his time in the Forces. Lilian May Kitson married Edwin Hedges (born Bromsgrove near Birmingham) in Doncaster in the first qu. of 1902. Cert No. 9c 1088. Lilian May died in 1908, having been sadly predeceased by two of her babies. Arthur Charlie Kitson married Edith Alice Richardson on October 11th 1911 at St Mary’s Church, Wheatley, Doncaster. 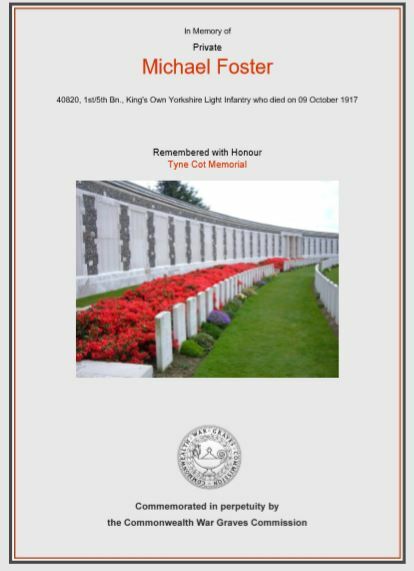 Janet Eleanor Kitson age 22 of Baghill Lane, Pontefract married Richard Birkby age 27, a gardener of South Bailey Gate, Pontefract on 16th September 1914 at All Saints Church Pontefract. 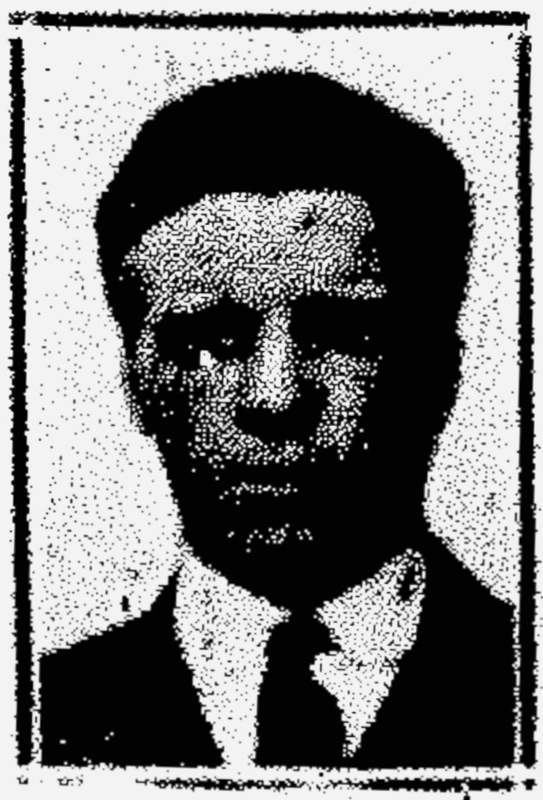 Richard Birkby also survived the War. 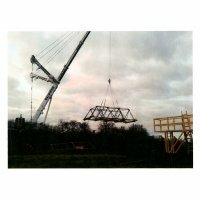 Bagshaw and Son photographers of Doncaster. Luke Bagshaw was born in 1877. After leaving school his interest in photography led to a joint business venture with his father. Bagshaw and Son, Luke began business in a studio on Hexthorpe Bridge.They moved to premises at 150-152 St. Sepulchre Gate where the firm remained as photographers and photographic retailers until the 1960s, although Luke died in 1944. I am pleased to say that two of the Kitsons photographs were taken at Bagshaw’s Photographer’s, Doncaster and their glass negatives were discovered among the Bagshaw collection. I am proud to be able to place them in The Kitson Photo Gallery. 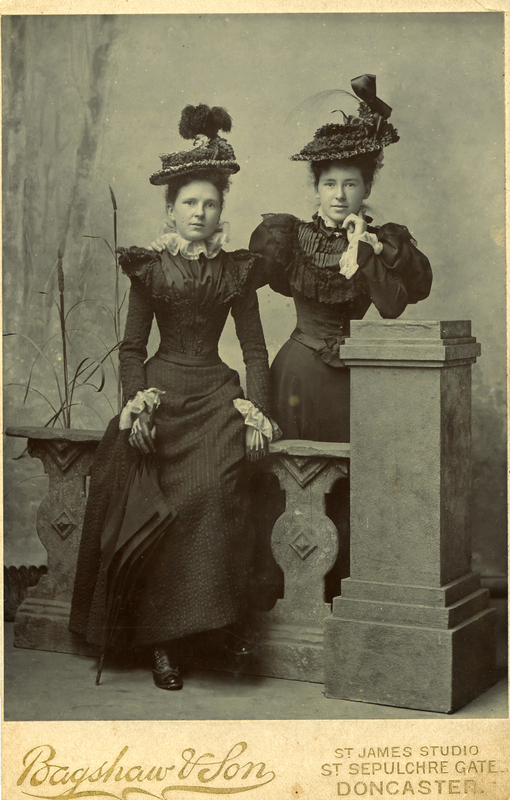 The two Kitson sisters, Edith and Alice, went to Bagshaw’s Photographers for their image to be captured for all time in the early 20th Century. 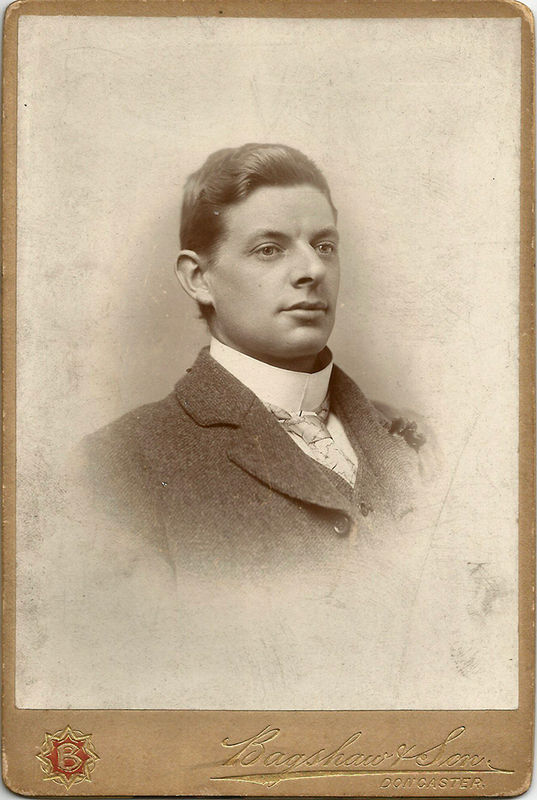 George Edward Kitson wearing mufti, the image taken at Bagshaw’s Photographer’s, Doncaster c. 1901 when he was on leave from the Royal Navy. 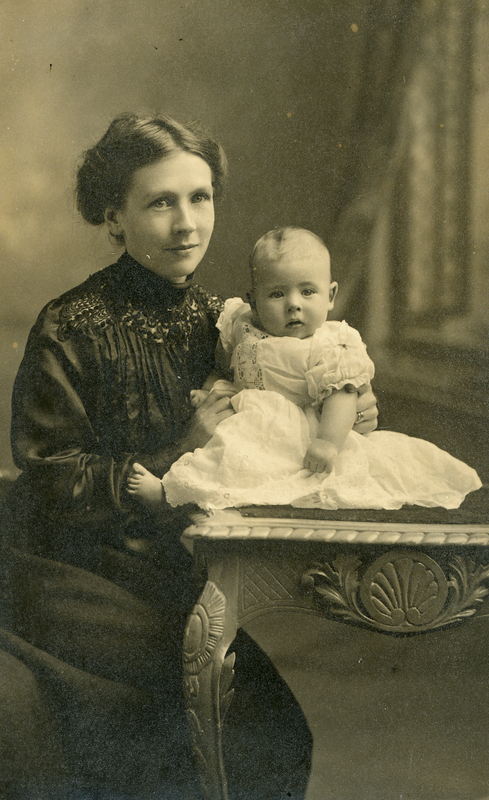 The third photo is of George Edward Kitson’s wife, Eliza and their first baby son Geoffrey George Kitson c.1912. *George Edward Kitson, Petty Officer (Chief Stoker) Royal Navy 280647, H.M.S. 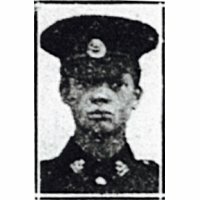 ‘’Recruit’’ died in his 42nd year on August 9th 1917. He was the son of James Kitson, of Doncaster and the late Mary Ann Kitson; Husband of Eliza Kitson, of Garthorpe, Melton Mowbray, Leicestershire. 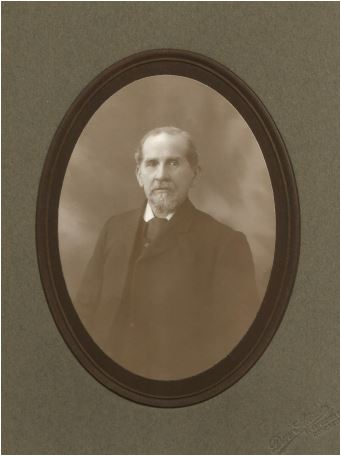 Father of Geoffrey George Kitson. Awarded Bronze Medal for Valour (Italy). Remembered with Honour – CHATHAM WAR MEMORIAL – Panel 23. 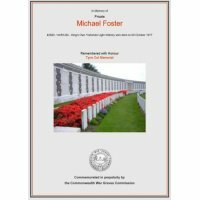 Commemorated in perpetuity by the Commonwealth War Graves Commission. 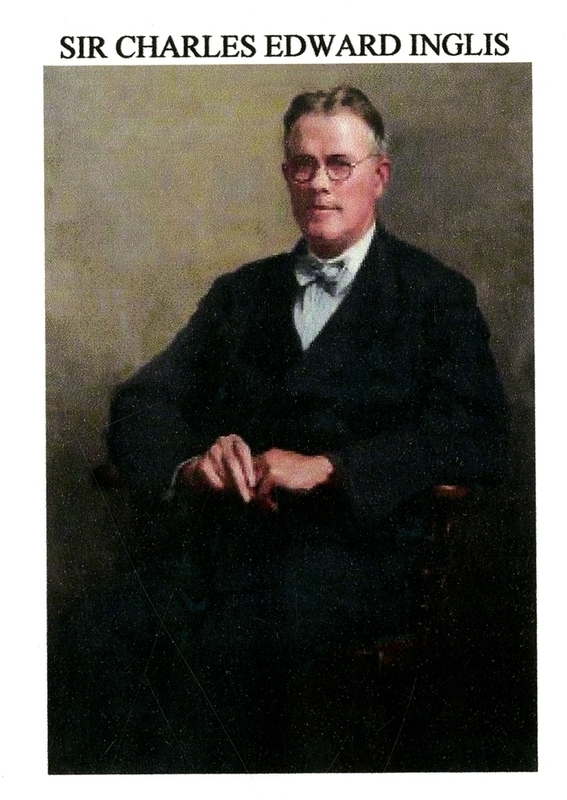 Joseph Needham was born in 1882 in Mattersey. 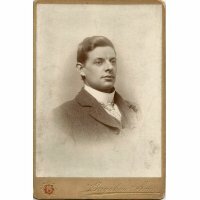 His father, William, had previously been married with three children before marrying Mary Browne, 16 years his junior, in 1872. 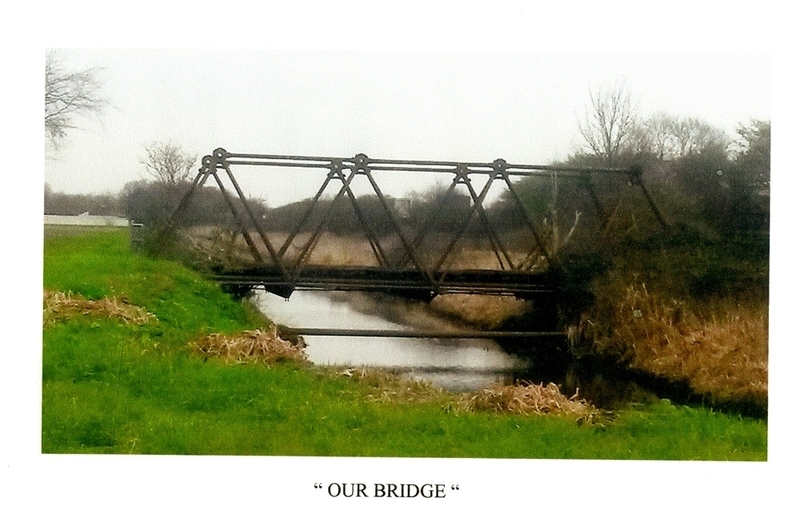 In 1885, Joseph had a sister who was also born in Mattersey. 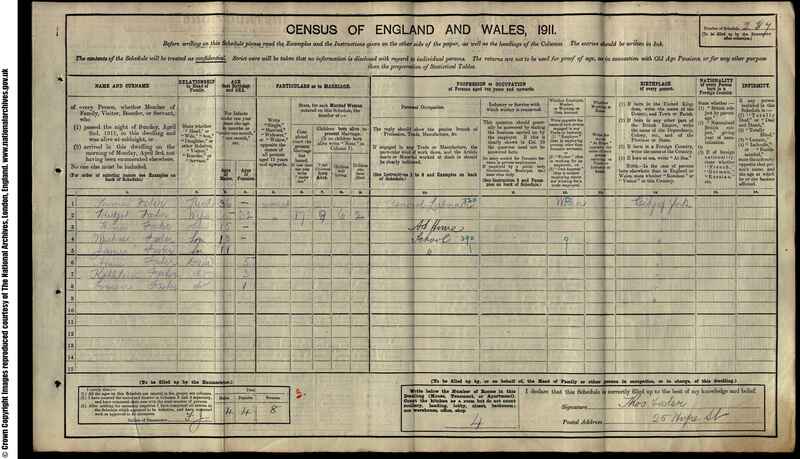 In 1910, Joseph married, registered in Doncaster, to Mary Steel, who was a native of Mattersey. In 1911 they were living at 3 Castle Street, Conisborough, Yorks where Joseph was working as a carter for a railway company. The couple also had a daughter born to them who they named Florrie. L/Cpl Joseph Needham Retford Times 11 Feb 1916 Mrs Jos. 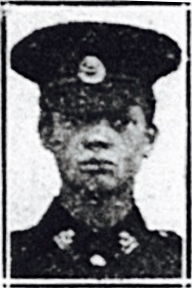 Needham of 10 Claremont Terrace, Conisborough, wife of Lance Corpl Needham, 6th Batt York and Lancaster Regt has received the sad intelligence that her husband died through natural causes whilst in hospital at Alexandria on or about the 29th November. This sad news deeply affected the people of Mattersey as deceased was born and reared in their midst and was living in the village at the time of his enlistment at the age of 18 years. 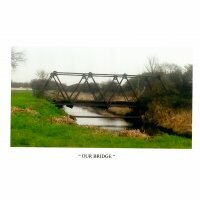 When war broke out he had been living in, Conisborough about six years. He was well known there as his employment in the Great Central Railway goods department bought him in contact with people of all classes. 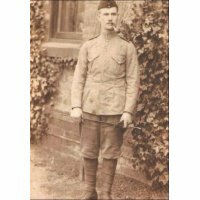 As a reservist, he responded cheerfully to the summons and went out to France with the Expeditionary Force. Unfortunately, he was buried under the debris caused by the bursting of a shell and received injuries which necessitated his going to a hospital. 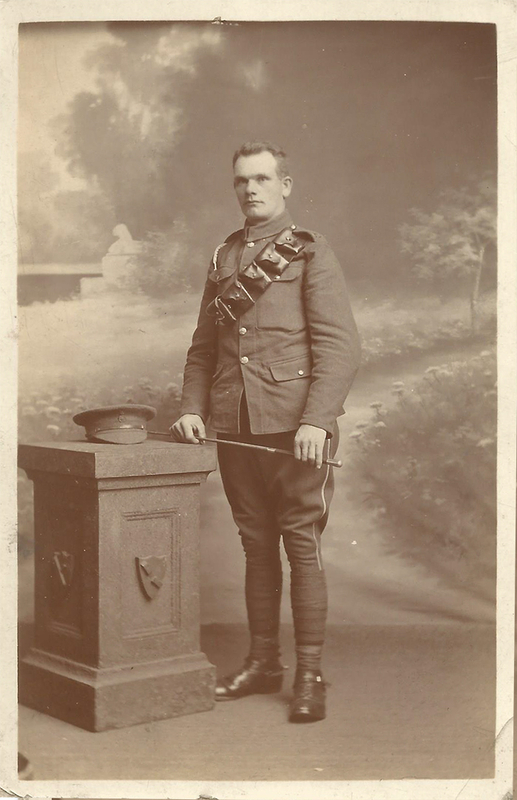 He was afterwards invalided home last August and took great interest in the local recruiting meetings obtaining many recruits by his rugged eloquence. He also spent a few days in his native village. After being declared fit for further service he was drafted out to the Dardanelles and previous to his departure to this new sphere of military operations he told his wife of a presentiment that she would never see him again. Unhappily his fears have proved to realised. 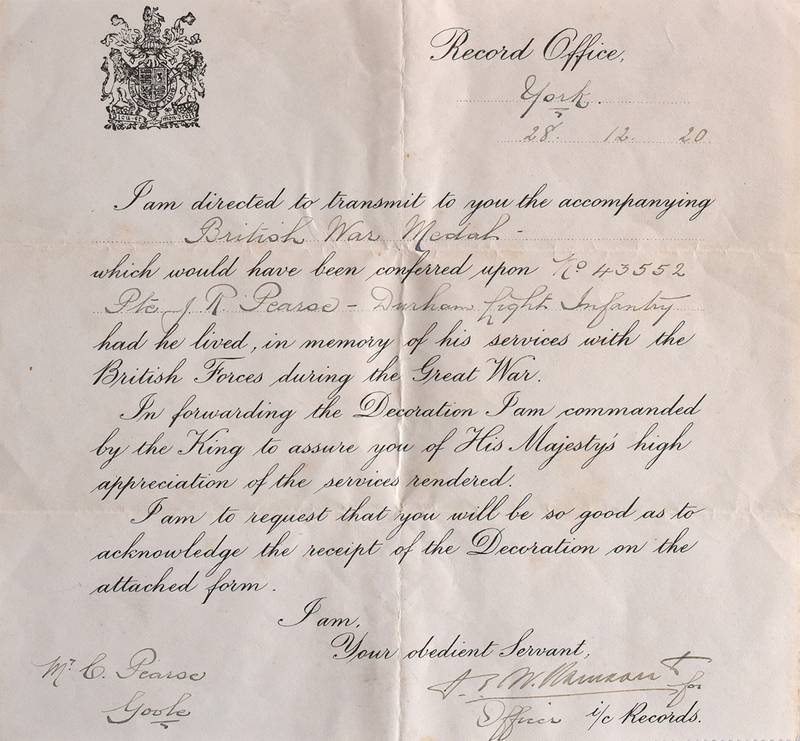 For his gallant services, he was promoted to L/Cpl. Needham was a hero indeed. 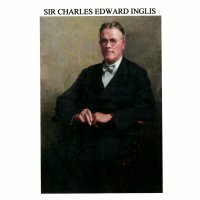 He had served in South Africa, gaining the King Edward Medal (1901-2) with two bars and the Queen Victoria Medal with four bars (Laing’s Nek, Transvaal, Orange Free State and Cape Colony). 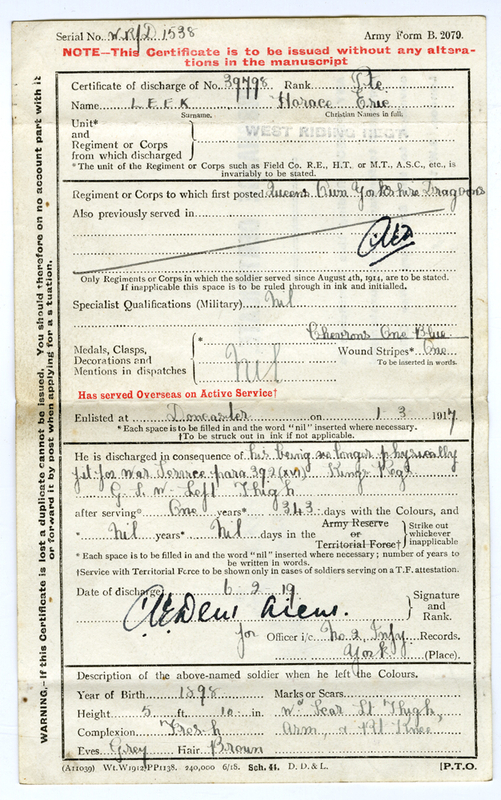 L/Cpl Needham would have obtained his discharge had he survived till the 17th March. On the 16th November, he wrote cheerfully to his wife, stating that he was in the best of health. He was 34 years of age and leaves a young widow and two children. Not they alone will mourn his loss, as his widowed mother, now over 70 years of age and still resident at Mattersey, as well as his only sister, Mrs H Walker of Drakeholes, will feel most keenly the great trouble that has been thus thrust upon them. 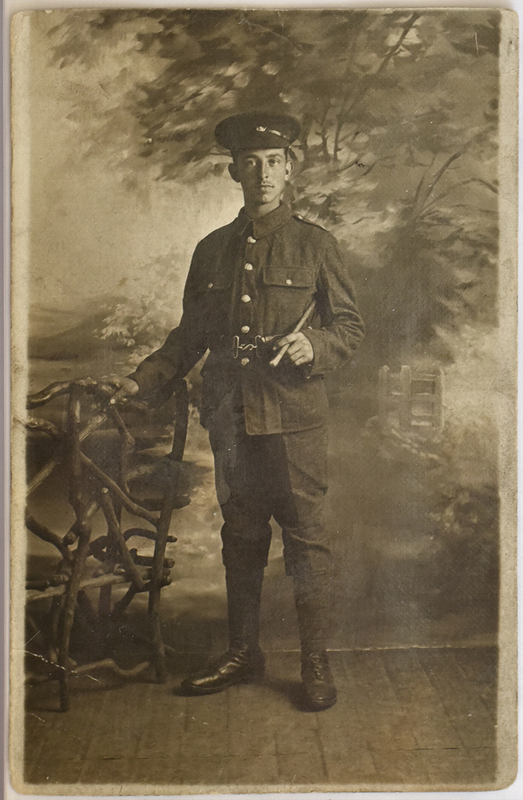 Pam Bailey tells the sad story of her great-uncle John Richard Pearse, many of whose family refused to believe he had been killed in Flanders in the First World War. 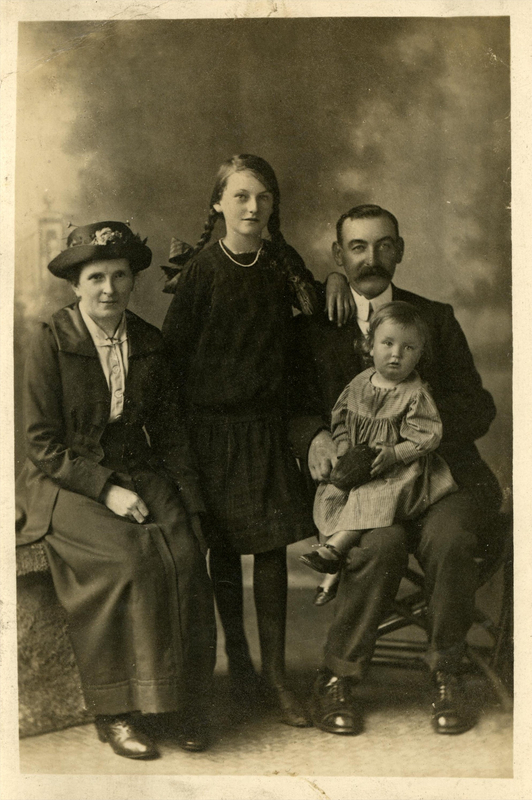 John Richard was born in 1897 in Sykehouse to farm labourer Charles and his wife Ada. His mother died when he was only two, while giving birth to his sister Elsie. 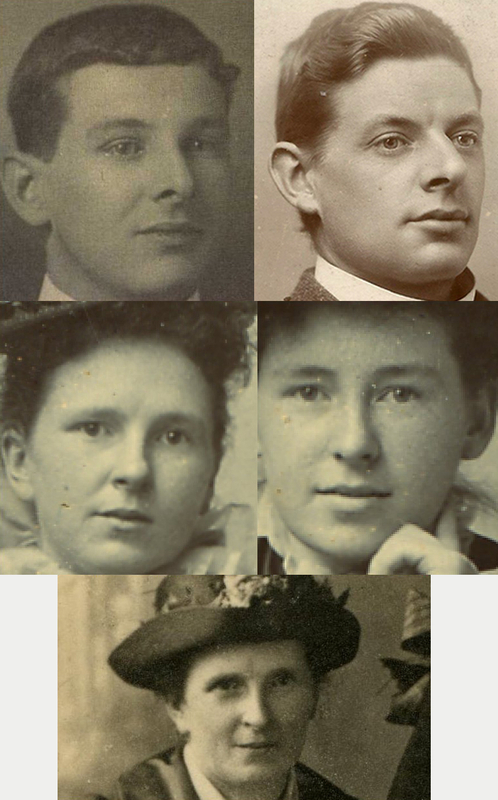 His father married again in 1900, to Minnie who was also from Sykehouse and judging by the way Minnie reacted when John was killed she must have loved him as though he was her own. Charles and Minnie gave John and Elsie four step brothers and sisters and they all grew up together in Sykehouse. By 1911 at the age of 13 John was already working as a farm servant. 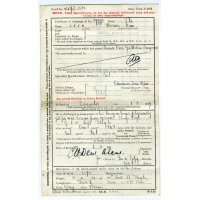 It was a hard life and who knows whether it was the prospect of a better one or to serve his country, but John enlisted in the army in July 1915 at the age of 19. 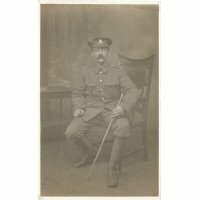 He served in the 22nd Battalion of the Durham Light Infantry as a private soldier and after his training would have been sent out to serve at the front. We don’t have any details of how long he was out there or how he got on – only that he was reported killed on the 16th August 1917. His stepmother and other members of the family refused to believe it, insisting instead that he was missing with loss of memory. This seemed to be confirmed when a friend said he’d seen John in Scarborough. They appealed for information in the papers and on the radio for information about John, so convinced were they that he could not be dead. Sadly they never saw him again and John is commemorated with many other fallen soldiers in Dochy Farm New British Cemetery in Flanders, Belgium.